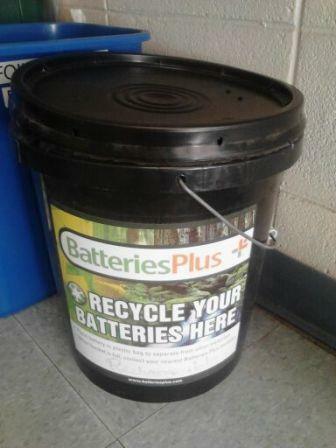 Two brand new battery recycling receptacles have been added to the Grice Marine Laboratory. One container is located in the dorm kitchen and the other is in the stairwell of the main entrance. Please help us to keep Grice green by bringing in your recyclable batteries. 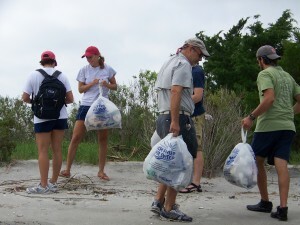 Grice Marine Laboratory students, faculty and staff took part in the Lowcountry’s 2010 Beach/River Sweep. Partnering with the surrounding Fort Johnson community, over seven miles of beach was cleared of trash (Fort Johnson, Fort Sumter/Grice Beach, Morris Island and Shutes Folly). Three truckloads of garbage were collected as well as one truckload of recyclables. The most abundant trash items collected were food and beverage containers. When enjoying the beauty and activities that Charleston Harbor offers please help us to keep our ecosystem pristine and be mindful of your garbage. Thank you to all who participated in the beach cleanup.